I have always wanted an inground swimming pool. While I would love to have one professionally installed, these can be so expensive. I talked to a professional swimming pool installation company once and they wanted over $20,000 for the pool that I wanted! I cannot imagine paying that much money for a swimming pool – no matter how badly I want one. 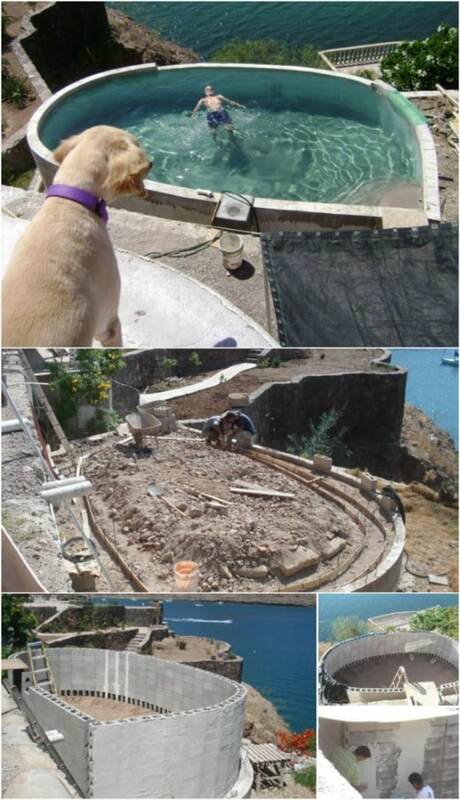 So, I did what I do and I started looking for DIY inground swimming pools that I could simply build myself. I found 6 amazing DIY inground pools, all of which will save thousands of dollars over having one professionally installed. Imagine having a beautiful inground swimming pool for just a couple of thousand dollars. You can always get an inground pool for just a couple of thousand dollars or less but an inground swimming pool is just so much more gorgeous in my opinion. And I never knew that you could build one so cheaply! If you do prefer an above ground pool, I also have some amazing ideas for that, as well. Be sure that you take a look at these 38 genius pool hacks to transform your backyard into a virtual paradise. If you want an inground pool though, I have some wonderful ideas for you! Some of these DIY inground swimming pool ideas are cheaper than others but they are all less expensive than having a swimming pool built by a professional company. And they look just like they were professionally done when you get them finished. You’re not going to have these done in a day but you can definitely have them finished in a couple of weekends, and you have plenty of time before summer gets here to get them done! Imagine having your own inground swimming pool! I can’t wait for you to try some of these projects out, and you should consider these 15 DIY garden ponds to give your backyard even more wonderful water décor. If you buy one from a professional pool company, an inground swimming pool will easily cost you about $10,000 or more. You can build your own, and one that looks just like it was professionally designed, for less than $3,000. Imagine what you can do with that extra $7,000! This one is really simple. 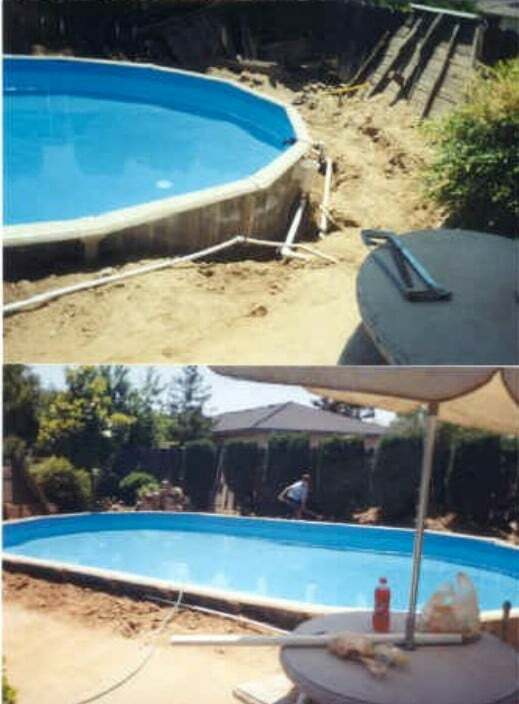 Once you get the hole dug, you just follow the easy steps to finishing your pool and you end up with something that looks like you paid tens of thousands of dollars to have it installed. This may just be one of the cheapest DIY inground swimming pools you can build. This one is made from wood and plastic and once you have your materials – as well as the hole dug to create your pool – the process is really simple. 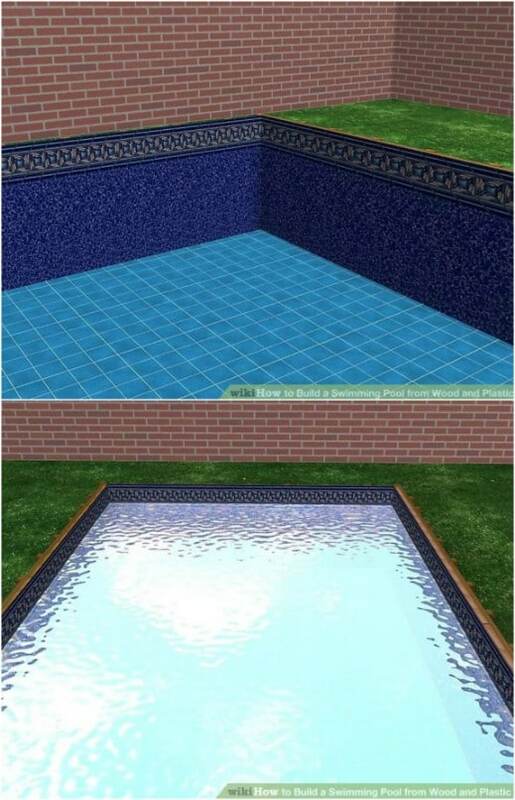 This is great if you want a traditionally shaped rectangular swimming pool or you could adjust it to make it round. The rectangular shape works much easier with the wood, though. 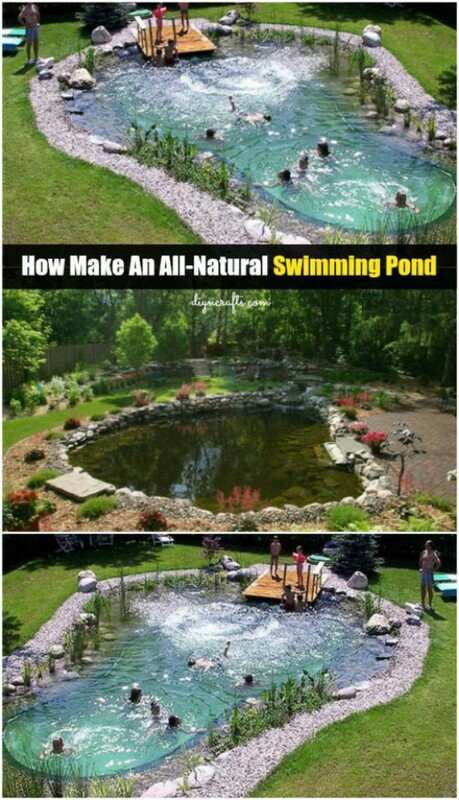 You can build your own all natural swimming pond and share it with nature. Even if you decide to keep this one for only swimming, it’s a lovely pool that has such a gorgeous natural pond look. This one is relatively simple to build and you can have it completed in just a couple of weekends. This one has a solar powered filtration system and it doesn’t require chlorine or other chemicals to keep it clean. Here is another beautiful natural swimming pool that doesn’t require the use of chemicals to keep the water clean and sparkling. This one is rectangular shaped and has lights! You can enjoy those late night swims all summer long! You put in large rocks or blocks to hold down the plastic liner, which gives the pool a beautiful look when it is finished. There is a shallow section, too that could double as a kiddie pool! If you happen to already have an above ground swimming pool but you want something inground, you can simply convert your existing pool to an inground model. This takes a bit of work but it can be done by just about anyone and it saves you thousands over buying a new inground pool. Above ground pools are so much less expensive and with just a little bit of extra preparation, you can turn that cheaper pool into one that looks wildly expensive. 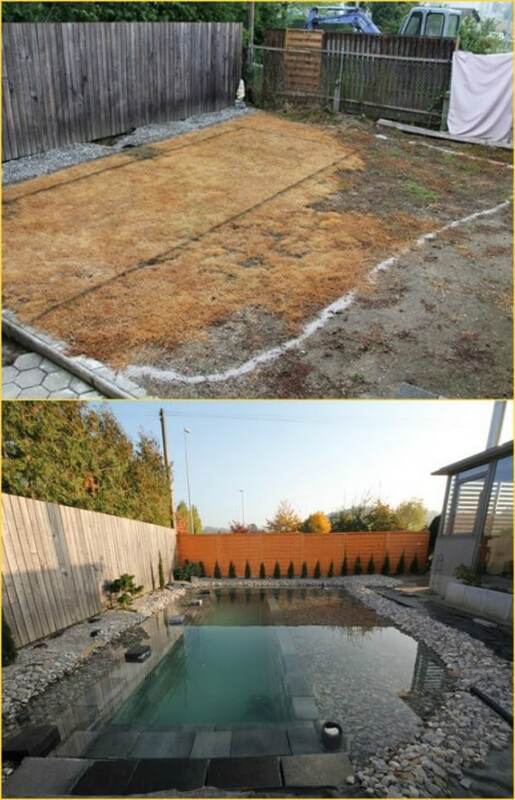 This is a beautiful transformation for your backyard pool.